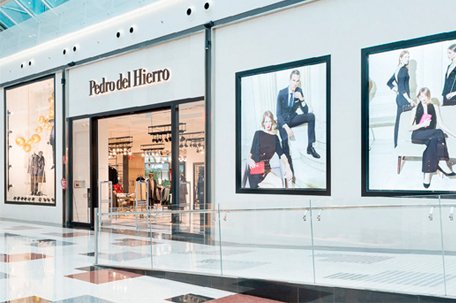 Interested in introducing Pedro del Hierro into your market? 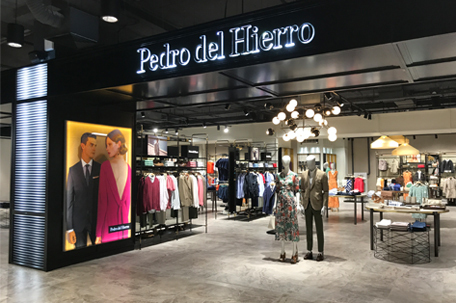 Pedro del Hierro is a Spanish fashion firm with a long-standing tradition in the haute couture sector. Created by the Madrid born designer, it joined Grupo Cortefiel (currently Tendam) under an exclusive agreement in 1989. A wide franchise network belongs to the fashion firm reaching the success in more than 35 countries heading us to a continuous and outstanding growth in the past few years and to exceed 300 points of sale around the world. True to its values of style, elegance and quality, the firm pays meticulous attention to the combination of the color and delicate fabrics as well as unique and exclusive designs. The brand remains true to the designer’s legacy. The concept and the personality are rooted in values such as tradition, culture, architecture and art, offering to men and women an affordable luxury brand. Our product and business concepts are under continuous development which is one of the key success factors that that explains our success in our home and international markets. We operate through stand-alone stores in shopping malls or the main streets locations and/or corners in department stores. *Please note that we do not franchise in Spain nor Portugal as we operate through our own corporate stores.